Anyone who works a typical 9-to-5 job knows that sitting is the bane of their existence. Some research has even compared the amount of harm to our bodies from sitting to dangerous habits like smoking. While sitting at a desk might not be as bad as inhaling carcinogens, our bodies (and our backs) probably aren’t made to withstand hours sitting at a desk either. But today’s labor in the age of computers often demands just that. If you’re going to sit all day, at least sit in a chair that’s designed for maximum support and comfort. Opting for the proper office chair, one designed to cradle you as you work and provide you with the ample comfort and good posture, is a practical and well-advised solution. The best chairs go beyond what you’d expect. Many offer resounding ergonomic benefits, breathable mesh backing, and excellent lumbar support, while simultaneously granting you a swath of customization options spanning everything from colors to contours. None of them are going to be a cure-all for your workday woes, but customized suspension and the appropriate aesthetics go far in the long run. We’ve rounded up the best office chairs that will have you feeling supported during the workday. So, what is it about the Embody we so revere? It’s a fair question, sure, especially considering the Embody’s lofty price tag and accompanying shipping costs. Well, for starters, the chair offers a dynamic matrix of “pixels” that allow the seat and back to automatically conform to your body’s every movement, while the chair’s central spine and flexible ribs work to maintain proper posture, regardless if you’re leaning forward or reclining. Said movement capabilities help promote better blood and oxygen flow, and if that wasn’t enough, the advanced tilt mechanism helps combat unwanted hip, neck, and lumbar strain. The chair even sizes to fit your body perfectly, comes in a range of colors, and features a skin-like covering for increased airflow. 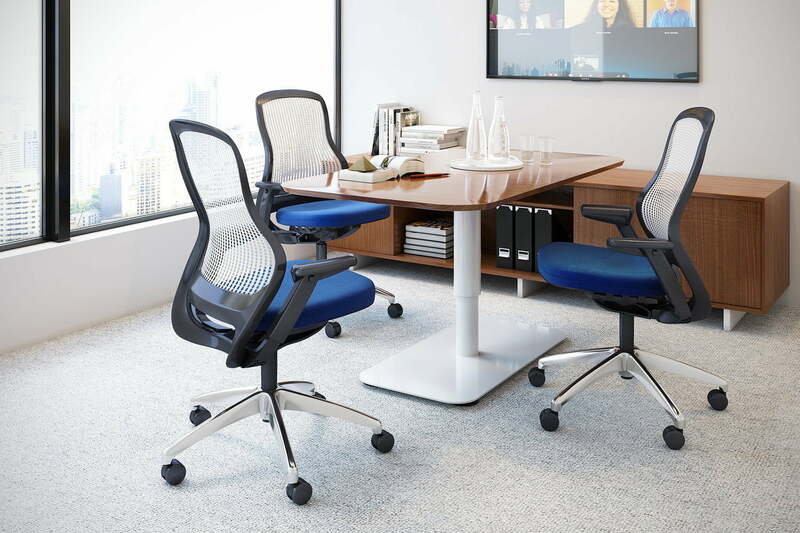 The Steelcase Gesture remains one of the sleeker office chairs on the market. A deep, flexible contour in the back of the chair supports the natural shape of the spine and helps minimize tension in the lower back. The arms also pivot to host a range of body types and better ergonomic positioning while typing. A semi-matte finish along the back and a polished-metal wheelbase complement the chair’s modern design. Steelcase tested the Gesture for a maximum of 400 pounds, too, which means weight shouldn’t be an issue. The Steelcase Leap has long stood as the company’s flagship — and for good reason. It’s one of the more popular office chairs in existence, one which owes much of its merit to years of painstaking research and subsequent development. The result is a chair that caters to the individual and remains reliant on the company’s LiveBack system, which lets you conveniently and independently adjust the seat and back of the chair for enhanced support. 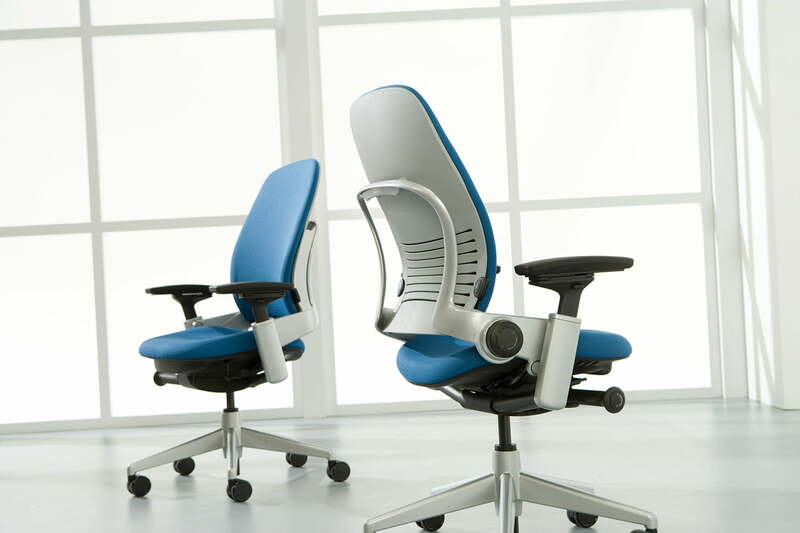 The back mimics the natural shape of your spine throughout the day, helping to encourage better posture, while the chair’s innovative glide system allows you to recline without having to orient yourself away from your workload (heaven forbid). While the DXRacer Formula Series is actually a gaming chair, it has a lot of great ergonomic features that help prop you up while sending a report instead of shooting zombies. With both an adjustable lumbar pillow and head pillow, you get some plushness you don’t normally find in an office chair. You also have the ability to set the seat back and armrests to suit your posture, but its straight backrest helps keep your spine aligned. Its unique looks might make it seem like you’re piloting a spacecraft instead of answering emails, but honestly, that’s a bonus in our book. Ikea is the undisputed king of low-cost solutions that don’t look half bad in your workspace or at home. The Markus swivel chair is a perfect example of the company’s penchant for simple and practical design, owing to a breathable mesh backing and built-in lumbar support intended for extra ergonomic comfort. It’s available in three colors — gray, dark gray, and black — and features levers for adjusting the height and tilt of the chair to your liking. The minds behind the centipede-like Raynor Ergohuman were far more concerned with value than aesthetics when they designed their latest lineup of office chairs. 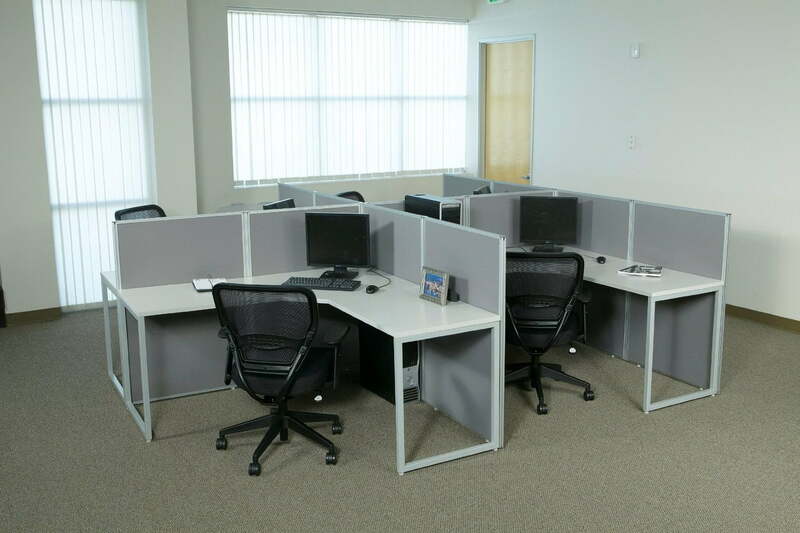 The chairs revel in full-mesh backing and user-friendly functionality, the latter of which grants you tilt tension control, back angle adjustment, and lumbar support in addition to a normal set of adjustments for tweaking the height and tilt angle. There’s a bevy of models to choose from, some of which drop the mesh seats for leather-padded cushions designed to give you more comfort during marathon sittings sessions. Either way, the feature set alone justifies the price. The unique ReGeneration takes inspiration from the bridges of architect Santiago Calatrava. It leverages flexible and sturdy materials that intuitively respond to your movements to provide over-arching comfort throughout the day. It builds on the success of its predecessor, providing you with a contoured frame that offers a flexible mesh backing and adjustable lumbar support. The chair also adjusts the amount of support depending on your sitting position. The fact that much of the construction utilizes soy- and corn-based materials suggests some eco-friendliness as well. If you’re looking for something more affordable than many of the options on our list, the ItalModern Bungie offers a unique take on the traditional office chair. It features bungee cords strapped across the chair’s steel frame, granting a little more give. While it may not have the luxe look of a leather chair, it also doesn’t have the price tag. The bungee cords provide support and flexibility, too, which might appeal to those who find sitting in a stiff chair all day uncomfortable. However, it may leave you with lines on your legs if you’re wearing a skirt or shorts, so keep that in mind. 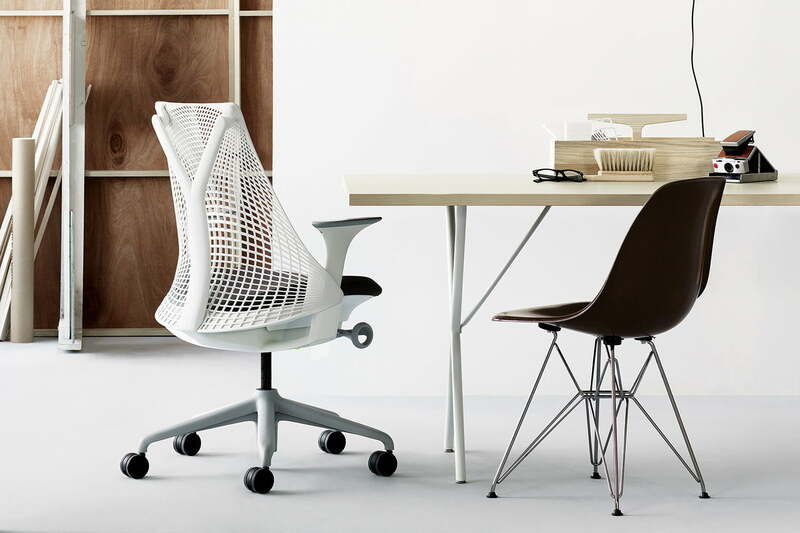 The Sayl is Herman Miller’s shot at a budget-friendly chair, and while it cuts corners in terms of customization, the offering still manages to provide healthy support within a package that warrants more than just a glance. The chair’s unframed, intelligent backing lets you move freely between positions as flexible strands provide additional support with varying thickness and tension. Designer Yves Behar based the construction of the strands on the framework of suspension bridges — which, structurally, deliver a huge amount of function for the amount of material they require. The backing prevents slouching, with or without the optional lumbar support. Not everyone wants to shell out the entirety of their paycheck on a quality office chair, and thankfully the Air Grid proves that you don’t have to. The breathable, mesh backing provides plenty of circulation and keeps sweat to a minimum, while a two-in-one tilt function allows you to adjust the back and seat angle as one. It’s comfortable as well, with built-in lumbar support and height-adjustable arms that cater to your individual needs with little in the way of hassle. A heavy-duty nylon base provides increased strength and durability when sitting or moving, whether you prefer the stock casters or opt for something more appropriate for your situation.